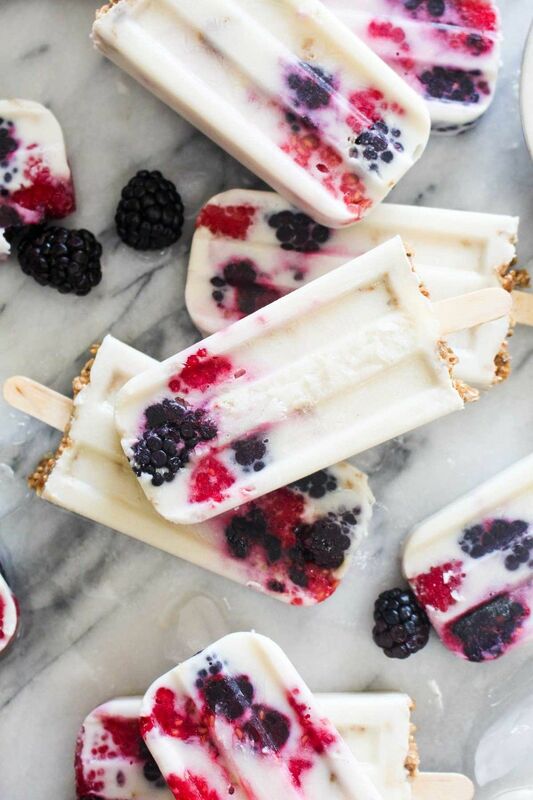 These healthy three ingredient Yogurt Parfait Breakfast Popsicles are a quick breakfast. These popsicles are gluten-free, vegan, and are easy to make! Evenly divide the berries between the popsicle molds. Pour over the yogurt, and use a popsicle stick to move the berries around, allowing the yogurt to make it to the bottom of the molds and surround the berries. Top with granola, and insert popsicle sticks. Freeze overnight.